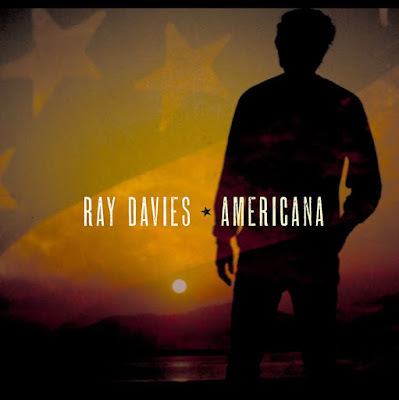 Due April 21, the project is an autobiographical work based around Davies’ 2013 memoir, “Americana: The Kinks, the Riff, the Road: The Story”, which chronicles his experiences in America - from touring the country with The Kinks and subsequent blacklisting by the American Musicians Union to his years playing stadiums and eventually staying in New York and New Orleans for a time. Co-produced by Davies, Guy Massey and John Jackson, the follow-up to 2008’s “Working Man’s Café” was recorded in London with The Jayhawks as the singer’s backing band, while the set also features a number of short spoken-word passages from the memoir. ”Americana” will be issued via CD, vinyl and digital download, while a second volume will be a released later in 2017. Davies was recently knighted in his native UK for his service to the arts as part of Queen Elizabeth's annual New Year Honours list. The rocker was named among a lengthy list of UK citizens who were recognized for their work and contributions to society. It’s the second UK honour bestowed upon The Kinks frontman, who was initially awarded the CBE – Commander of the Most Excellent Order of the British Empire – by the Queen in 2004.